Stormy weather headed to Pearland? Roofing concerns? You�re not alone. Pearland, Texas, and the greater Houston area in general, is vulnerable to severe weather conditions that pummel the roofs of residents and businesses regularly. Whether high winds blow through, hail stones drop from the skies, or a hurricane pounds the community, widespread roof damage is likely in Pearland. Roofing professionals are in high demand after these devastating events take place, making it essential to call us right away. As a local roofing contractor with over 20 years of Pearland roofing service under our belts, we book up fast! Our past customers know that they can rely on us for prompt service, expert workmanship, and excellent warranties. We�ve been serving the greater Houston region and Pearland neighborhoods for decades and have an excellent track record. We appreciate the opportunity to serve Pearland�s residents and take our responsibilities seriously. 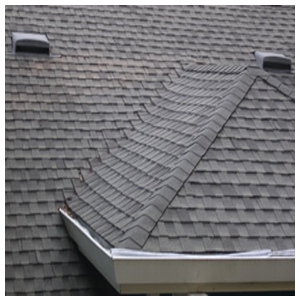 We are committed to quality roofing and top-notch customer service. We realize that roofing is stressful on homeowners and work quickly to ease your stress. When you choose us for your roofing project, you can rest assured that you will be well taken care of. "My roof had hail damage after a bad storm, didn't know how bad it was until I found leaks that had already taken a tole on my home. I knew I needed a fast repair, I called Pearland Roofing and they were there to look and repair it within the same day!-Thank you Pearland Roofing, no more leaks!" "Another roofing company told me my new roof needed to be replaced, I knew I needed another opinion so I called Pearland Roofing, sure enough I needed a few leaks fixed and had minor hail damage!-Thank you Pearland Roofing for being honest, saving my roof and my money!"